Rheumatoid arthritis (RA) is a chronic inflammatory autoimmune disease arising from a breakdown of peripheral tolerance, which leads to aberrant Th1- or Th17-driven immune reaction. Although aberrant Calcium/calmodulin-dependent protein kinase IV (CaMK4) activation has been implicated in the development of Th17 driven autoimmune diseases, the roles of CaMK4 activation in CD4+ T cells in the development and the pathogenesis of RA remain to be elucidated. We sought to determine the significance of CaMK4 in the pathological condition of RA and to clarify whether the expression of CaMK4 can be a prognostic predictor for the progression of RA in daily practice. We treated collagen-induced arthritis (CIA) mice with KN-93, an inhibitor of CaMK4 and evaluated the clinical score, in vivo micro-computed tomography (ƒÊ-CT), and histological assessment. We examined the gene expression of Camk4 in CD4+ T cells from healthy controls (HC: n=20) and patients with active RA (n=21; median of DAS-ESR:5.14). We performed a multiple logistic regression analysis to explore the factors to predict poor response to treatment at 6 months. Treatment of CIA mice with KN-93 results in a significant reduction of the clinical score of CIA severity and this is accompanied by decreased joint destruction evaluated by ƒÊ-CT and histology analysis. The expression of Camk4 mRNA in CD4+ T cells displayed significantly higher in RA patients than HC. Of note, the multiple logistic regression analysis revealed that the independent variables to predict poor response to treatment were the expression level of Camk4 mRNA in CD4 positive T cells from RA patients at baseline (OR= 24.7, 95%CI 2.76-634) and DAS-ESR at baseline (1-unit increase OR=4.40, 95%CI 1.67-18.5). Our results indicate that CaMK4 expression associates with RA development and its inhibition represents a novel therapeutic strategy for the treatment of RA. This work was supported by grants from the Leading Initiative for Excellent Young Researchers of the Ministry of Education, Culture, Sports, Science and Technology (to T.K: no. 16810055) and the Uehara Memorial Foundation (to T.K: no 201510047). Disclosure: T. Koga, None; T. Sato, None; M. Umeda, None; S. Fukui, None; A. Nishino, None; S. Kawashiri, None; N. Iwamoto, None; K. Ichinose, None; M. Tamai, None; T. Origuchi, None; H. Nakamura, None; A. Kawakami, None. Koga T, Sato T, Umeda M, Fukui S, Nishino A, Kawashiri S, Iwamoto N, Ichinose K, Tamai M, Origuchi T, Nakamura H, Kawakami A. Aberrant Expression of CaMK4 in CD4 Positive T Cells Predicts Poor Response to Treatment in Patients with Active Rheumatoid Arthritis [abstract]. Arthritis Rheumatol. 2017; 69 (suppl 10). 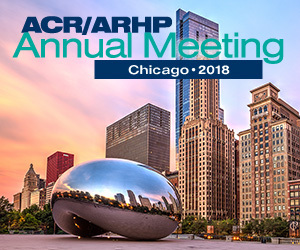 https://acrabstracts.org/abstract/aberrant-expression-of-camk4-in-cd4-positive-t-cells-predicts-poor-response-to-treatment-in-patients-with-active-rheumatoid-arthritis/. Accessed April 19, 2019.